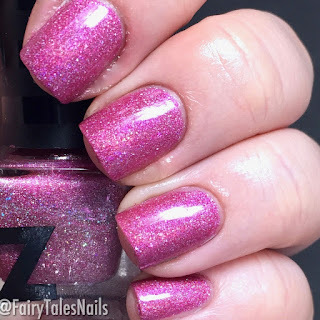 This beautiful collection consists of four different holographic polishes that are perfect for Spring. 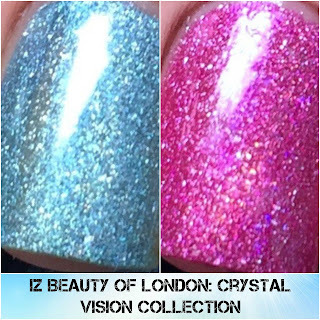 As you all know I haven't been left disappointed by IZ Beauty of London in the past and these beauties were just as lovely to use. 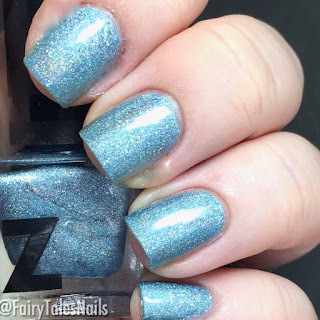 I have two polishes from the collection to share with you today. 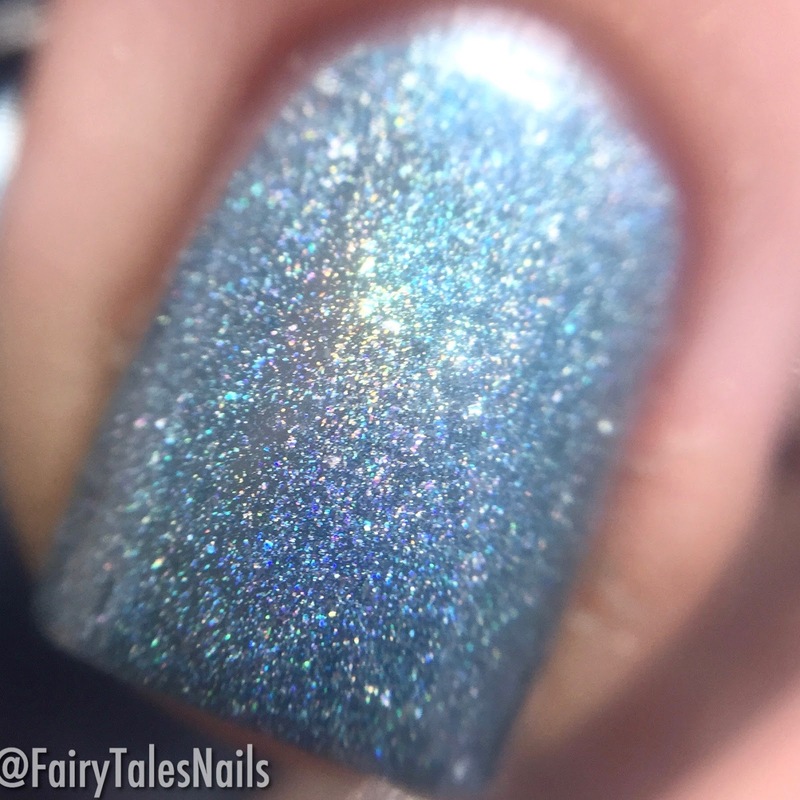 The first gorgeous colour is this light blue holographic, this is such a beautiful colour just as pretty as a cloudless Spring sky. 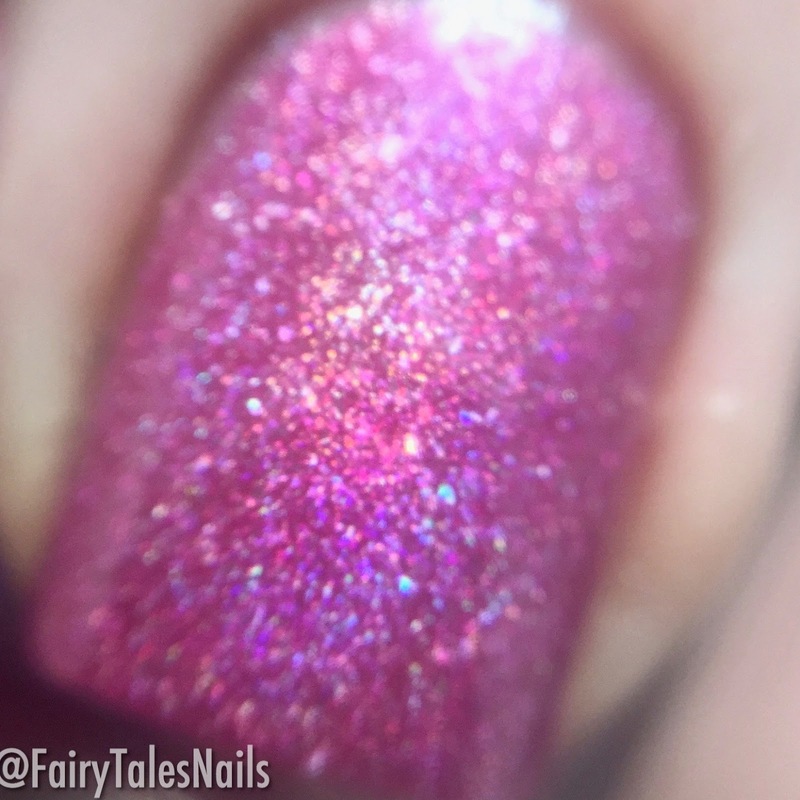 This took 2 coats to be fully opaque and was really nice to apply, it evened out well and those holographic glitters really pop with a glossy top coat. The second polish is this really gorgeous magenta holographic, the same pink you see on those beautiful Spring time roses (well hopefully once the weather improves). This was another 2 coater polish with a really lovely to work with formula. Overall two fabulous polishes for the Spring months and that touch of holographic really makes these babies pop. 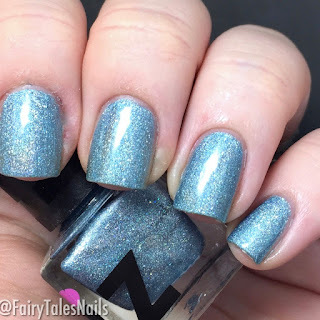 The other two polishes from this collection are on A Certain Becca Nails blog now, so if you would like to see swatches make sure you go take a look. 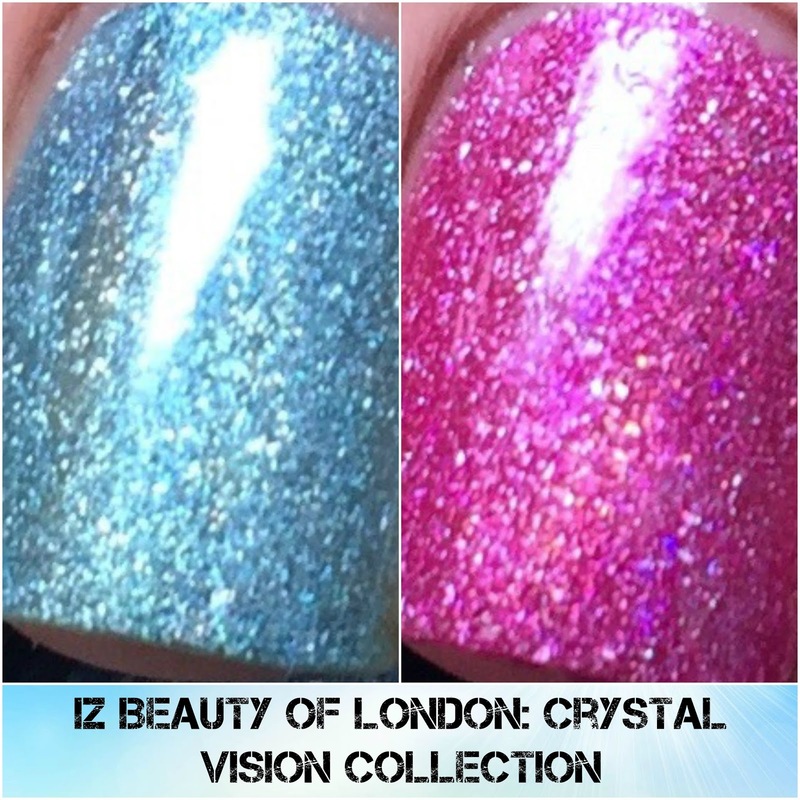 All four of the new Spring collection are available now on the IZ Beauty of London website £6 per 6ml bottle. At this time IZ only ship within the UK and any order over £30 gets free delivery. 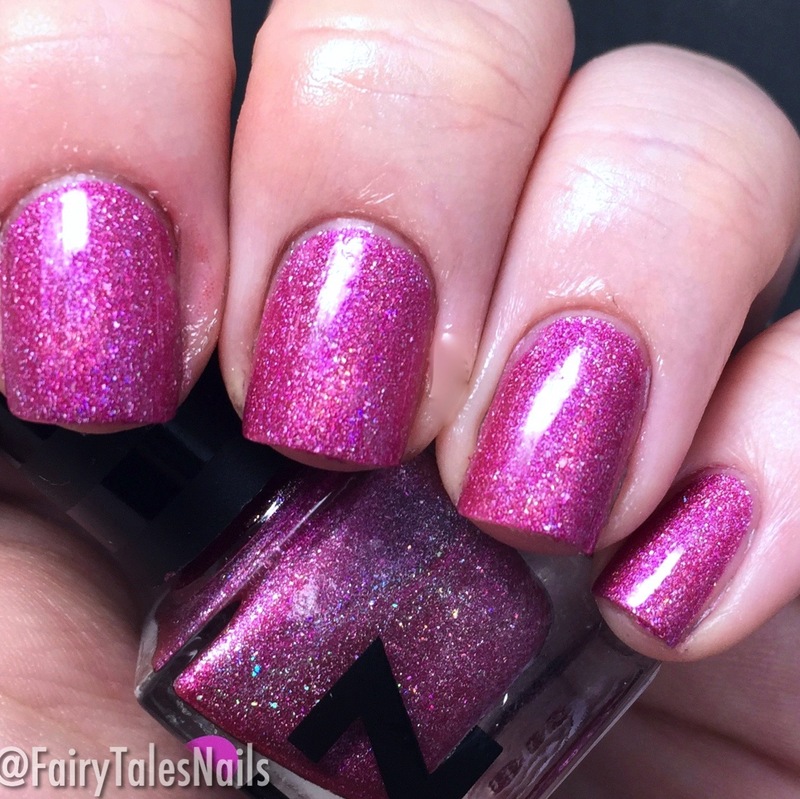 Don't think I could choose a favourite out of these two they are both really pretty and perfect Spring time polishes. Hope you enjoyed this post and I will see you back here soon, plenty more nail goodies to share with you.